Are you ready to become a Hollywood A-lister? 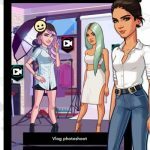 Kim Kardashian: Hollywood is the massively popular iOS and Android game by Glu that allows you to create your own would-be star, customize your character with hundreds of different outfits, including Kim’s personal picks, and interact with other celebrities, among other things. You can date other celebrities (or dump them), and form one half of Hollywood’s next big power couple, and even travel outside of Los Angeles and visit New York City and Miami. 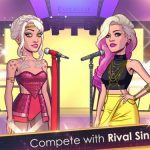 Those are just some of the things you can do in this game, but since it would be in your best interests to be on the fast track to stardom, we have compiled an extended list of Kim Kardashian: Hollywood cheats, tips and tricks for you right here. 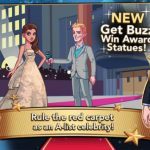 In this game, you will be rewarded if you regularly change your outfit, makeup, and hairdos – after all, it’s rare to see Hollywood stars wearing the same outfit more than once when in public! Regularly changing your appearance will allow you to score more points and get noticed by the movers and shakers of the scene; we recommend changing outfits before starting a new job or quest. Accessing the phone menu will allow you to call your contacts and take them along with you while you’re on a job. This will earn you more stars and level you up quicker, especially if you’re bringing along someone who’s really well-known. There are two types of currency in Kim Kardashian: Hollywood – cash and stars. You can earn both by watching free advertisement videos, and since there doesn’t seem to be any limit to the number of videos you can watch, this could allow your stars and cash to add up quickly. As you progress through the game, you may encounter several clothing items that may seem interesting, but aren’t, at the end of the day, essential. You don’t want to buy them with your stars; instead, you should wait until you have more than enough to pay for them. You want to use your stars for dating and networking, not for expanding your wardrobe. 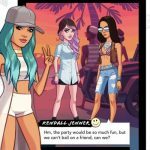 You can date as many people as you please in this game, as doing that will allow you to get noticed more and become an A-list celebrity faster than expected. What you would want to avoid, however, is getting dumped – that’s going to cost your popularity big-time. As a bonus tip, we recommend calling somebody up but not going on a date – that means bringing them to where you’d ostensibly be dating, but not hitting the conversation bubble. This will somehow catch their interest and sustain it. Last, but not the least, we would advise you to keep giving gifts if you want to become an A-lister faster. Give these gifts to popular and prominent people and they’ll like you even more, which could mean a lot in the grand scheme of things.